I’ve generated millions in revenue for my businesses off the power of my personal brand, but I got off to a rough start. The first problem was that when I began building my personal brand, I didn’t even know what a personal brand was. 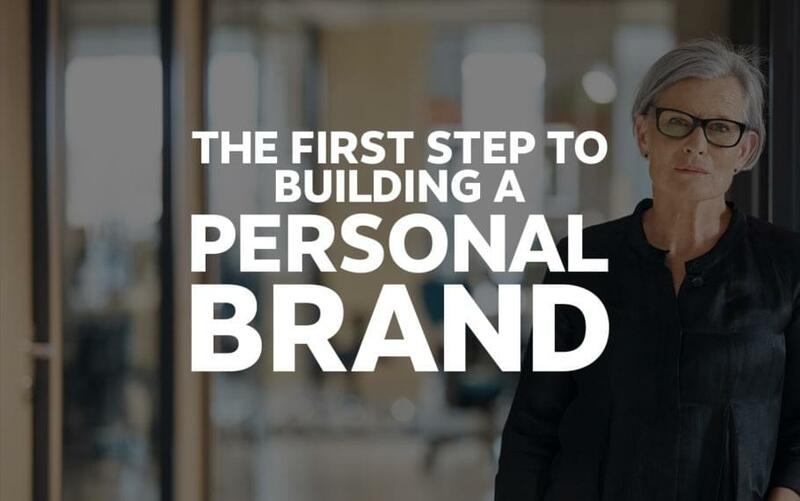 I had never even heard the term, and it was only later as I learned about personal branding that I realized I was already doing it, and that I was making a lot of mistakes. Hindsight is 20/20, right? Now that I coach CEOs on how to build their personal brands I see many of them making the same mistakes I made, so at least I can take comfort in knowing I’m not alone. One of the key mistakes I see those embarking on the process of personal brand building make is that they do not know what they want. Many executives (and others) are investing time and money into building their personal brands, and they can’t even clearly articulate what their goals and objectives are. Covey wrote a book you may have heard of called The 7 Habits of Highly Successful People. If you haven’t read it, stop reading this blog and go read the book right now, it will change your life. Done? Good, back to business. In 7 Habits you read that Habit 2 is to begin with the end in mind. What plane ever reached its destination without the pilot knowing where he wanted to go? Yet executives do this all the time with their personal brands with the idea that if they build it, the benefits will come, whatever they are. Maybe some speaking gigs and a book deal, that’d be nice, right? But one does not become a highly sought after public speaker simply by wanting it, nor are book deals available for the asking. Plus, these aren’t the right goals to have. Getting paid to speak, landing a book deal, growing a huge following on LinkedIn, being featured in Forbes–these are means to an end, not the end itself. Therefore the first step to building a personal brand is to have a clearly defined, long term objective. Yes, my first long term objective, because I have more than one, and the one that’s on top has changed over time. I started my journey of personal brand building in earnest in 2012. That’s when I met with my friend and go-to PR expert Cheryl Snapp Conner and asked her for help saving my marketing agency that was floundering at the time after a serious hiring misstep. During the course of our conversations Cheryl turned me on to the contributor program at Forbes and eventually introduced me to her editor there, who offered me the opportunity to write a column. Over the next several months I wrote a lot of articles, but they were all over the place in terms of subject matter. I wrote articles about what it was like to be an entrepreneur, how to run a small business, what Jay-Z’s in-app album launch had gotten wrong–I had no real focus. Part of the reason was intentional. I knew that writing for Forbes could benefit my marketing agency, but I didn’t want to self-promote, and I wasn’t sure how to write about what my agency did without coming across as self-promotional or furthering my own business interests. But mostly the reason I lacked focus was because I didn’t know what I was doing, and didn’t have much of a clue that I was missing out. However, I began to notice what other marketing agency owners were writing about on Forbes, and how they were focused heavily on marketing and yet were not promoting their own companies, at least not directly. They were selling without selling, and their primary tactic was to write how-to articles, that is, they told people exactly how to do what they were doing. I soon recognized the wisdom in this, that when you tell people exactly how to do something, you might give them the formula, but you’re still not giving them the time or expertise to execute well. I began writing how-to articles as well, giving away my secrets, and soon my agency was flooded with leads from people who read my articles, trusted me because I was giving away the formula, and then wanted to hire my firm to do the actual work. My long term objective wasn’t to get into Forbes, it was to grow my agency. Once I knew what I was going for, every article I wrote was measured against this objective, and my writing became very focused. It became a win-win-win situation where Forbes won because I wrote better articles that people liked a lot better than my scattered ones, readers got to read better, more helpful articles, and I built my personal brand and got clients as a result. I was invited to be on TV, radio, and podcasts, and my agency prospered as my personal brand grew. Or perhaps there’s some other impact you want to make in the world. Brainstorm. Keep it simple and make a list of everything you want to accomplish in life. Yes, list it all, personal, professional, and otherwise. Don’t get hung up on whether it’s an end or a means to an end, just write it all down. Make a BIG list of BIG goals. Short vs. Long. Divide the items on your list into short term vs. long term objectives. You can define short vs. long as you please, but I would recommend that you think about long term as years or decades vs. weeks or months. Put an “S” by your short term goals, and an “L” by your long term goals. Means vs. Ends. Now we separate your “long” items into “ends” and “means to ends.” Put a little “E” next to ends, and an “M” next to means. If you’re not sure, put an “M” next to it. Note: This can get tricky depending on your philosophy about life and perhaps what comes after, so let me make this easier for you–if the goal is a big enough deal then call it an end. Expert vs. Genius. We should already have a much shorter list than what you started with. Take what’s left and put an “Ex” next to those goals that are within your expert zone, and a “G” next to those within your genius zone. Your expert zone includes things you’re really good at, but which plenty of other people can do as well as you can. Your genius zone includes what you can do better than pretty much anyone else in the world, or things which, if you don’t do them, nobody else will. Long – I’ve been working on MWI for almost 20 years, and I want my agency to outlive me. I’d say that qualifies as long term. End – Is MWI’s success an end, or a means? Per my definition above of what an “end” is, it’s a big enough deal we can call it an end. Genius – Nobody else was in a position to do for MWI what I did, so yes, growing MWI was most definitely within my genius zone. And that’s how I got a LEG up on the competition…ha! Ok, I’ll never say that again, I promise. How about you? By following these steps were you able to come up with a clear long term objective? Tell me about it in the comments below, especially if you’re still facing challenges figuring it out. Do my LinkedIn profile and personal brand website brand me in such a way as to move me closer to my objective? Will the content of this email I’m sending to my list help me reach my goal? Does taking this speaking gig assist me in getting to my destination, or it a distraction? Your long term objective becomes a signal as to whether any personal branding action supports your larger strategy or not, which helps you eliminate the non-essential and focus on what matters most. As mentioned earlier, I don’t have just one objective, and chances are you have multiple long term objectives in your life as well. Sometimes you can support multiple objectives with a single, focused personal brand, but what is one to do when objectives conflict with each other? I ran into this after writing CMOs at Work. Soon after, I began a side-hustle called Influencer Inc, which then turned into a full-fledge company of its own. Whereas MWI provides marketing services to companies, Influencer Inc provides marketing services to individuals. As Jeff Bezos said, “Your brand is what people say about you when you’re not in the room,” and I had to decide what I wanted people to say about me. Was I going to be “That guy who runs a marketing agency and knows a lot about marketing,” or “That guy who wrote the CMO book and runs an agency,” or “That guy who’s an expert on building personal brands and helping CEOs become thought leaders.” While there was some overlap between the two, I had to choose, because trying to manage two brands for yourself is just as hard as doing it for a product or company. The more you try to do, the more you dilute your message, and your brand. I decided to take a cue from Gary Vaynerchuk, that guy who is always giving advice to young entrepreneurs, and is almost as well known for his advice as the amount of cursing he does while delivering it. Gary has written several bestselling books on social media marketing, starting businesses, and gaining attention and influence. What Gary is less well known for is the fact he owns a marketing agency with 600+ employees, and in 2016 I had the chance to gain some insights into how he grew that business. I happened to be at an event that happened to be on a boat, and during the voyage I found myself sitting next to a woman and we did the usual “So…what do you do?” thing. She said she worked at Nike, but previously she had been the co-founder of a marketing agency. It’s logical that Gary’s outsized personal brand would bring a lot of business to his agency, but now I had firsthand testimony that this was their primary form of landing deals. I have the same objective, to grow my personal brand large enough that whether or not I focus on the kind of marketing MWI does, my personal brand will continue to generate increased amounts of business for MWI. I believe Influencer Inc can be the vehicle for that by allowing me to focus on something larger and yet more unique than I would be able to focus on within the scope of marketing that is directly relevant to MWI, allowing me to have my cake and eat it, too. If you feel torn between two objectives that don’t lend themselves to a unified personal brand, your choice may be more difficult. In many cases, I’ve had to advise clients to simply choose one personal brand and drop the other. As a general rule with personal branding, focused attention on one option will produce more results than focus on two. Got a question about personal branding? Ask in the comments below, I’d love to hear from you!